The Fortnite player base has continued to climb as this immensely popular battle royale title reaches a gigantic milestone. At GDC 2019, the studio announced the player base has grown to more than 250 million registered players. That’s 50 million more than December 2018. 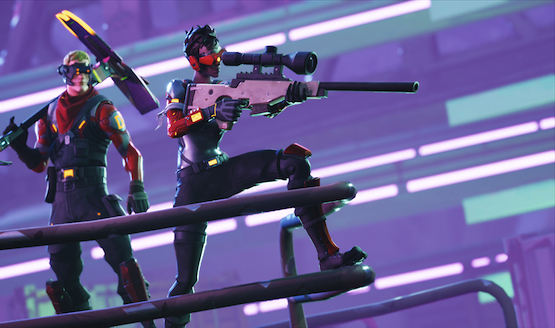 Fortnite also beat its concurrent record recently with 10.8 million players battling it out online (or at least in the menus) at the same time. It was expected that Apex Legends would take a bite out of the battle royale genre as it reached over 50 million players in just a month and gained a significant viewership on Twitch. Apex Legends also had the best launch month of any free-to-play game in history with $92 million in revenue. Fortnite also had a big seasonal changeover recently that copied some of Apex Legends’ most beloved features. There was also a huge promotion to earn a free battlepass for the season, which could account for some of the growth. You could say Fortnite and Apex Legends are very different games cut from the same cloth. Fortnite is known for its building mechanics and a wackier third-person aesthetic, and Apex Legends is a more traditional shooter that’s first-person and has hero-based squad mechanics. One thing is clear: neither Fortnite nor battle royale are going anywhere anytime soon.